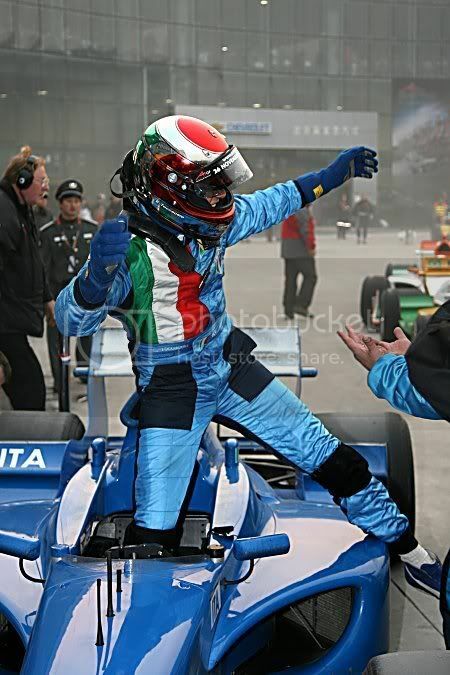 Beijing: A1 Team Italy has secured its first-ever A1GP World Cup of Motorsport Feature race victory in an incident-filled event in Beijing, China. A1 Team Great Britain claimed second position behind Italy’s Enrico Toccacelo, with Australian Karl Reindler third after Sprint race victor Netherlands crashed out of the lead with only nine laps remaining. France was a startling fourth after starting 17th on the grid, with South Africa and the Czech Republic fifth and sixth respectively.